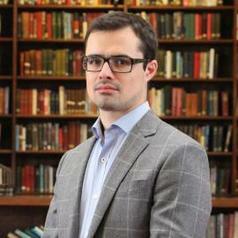 Raffaello Pantucci is the Director of International Security Studies at the Royal United Services Institutes (RUSI) and an associate fellow at the International Center for the Study of Radicalisation (ICSR) at King's College, London. His research focuses on counter-terrorism as well as China's relations with its Western neighbours. Prior to coming joining RUSI, Raffaello lived for over three years in Shanghai, where he was a visiting scholar at the Shanghai Academy of Social Sciences (SASS). Before that he worked in London at the International Institute for Strategic Studies (IISS), and the Center for Strategic and International Studies (CSIS) in Washington. He has also held positions at the European Council of Foreign Relations (ECFR). He is currently completing a writing project looking at Chinese interests in Central Asia. His journal articles have appeared in Survival, The National Interest, Studies in Conflict and Terrorism, Terrorism and Political Violence, and RUSI Journal amongst others, and his journalistic writing has appeared in the New York Times, Financial Times, Wall Street Journal, Sunday Times, CNN, Guardian, Foreign Policy, South China Morning Post, and more.